Growing Cannabis Outdoors: How Much Sunlight Do Plants Need? Home>Blog>Growing Cannabis Outdoors: How Much Sunlight Do Plants Need? Growing cannabis outdoors encourages fantastic natural growth, allowing plants to grow much bigger than they would indoors. But there is a big difference between growing photoperiod and autoflowering seeds outdoors. Depending on your location, you may want to choose one type of seed over the other. Sunlight is what encourages natural leaf and stem production in cannabis, allowing it to flourish and reach heights that can far exceed indoor grows. With an outdoor grow, the best yield will come from plants that have the most access to sunlight (in favourable conditions), so this will always be key to take into consideration when moving your cannabis growing skills outside. Cannabis is a hardy plant—but before you start growing, it is best to find a spot with a lot of sun exposure. This could be a clearing or a particularly open part of your yard, away from trees and other obstacles that might prevent your plant's leaves from utilising as much solar power as possible. It's always a good idea to start growing your photoperiod cannabis in early spring to take advantage of the valuable solar energy early in the growing season. Darkness is what triggers flowering in cannabis, so starting your grow in the springtime will ensure your plant receives as much sunlight as possible by the end of the summer. Ultimately, the objective for the outdoor grower is to make sure your plant is getting at least five hours of direct sunlight and five hours of indirect sunlight each day; however, days tend to be longer during the middle of the growing season, where the sun can be out for much longer. As a short-day plant, a 12-12 hour photoperiod is the easiest to work with when planting cannabis, and with most strains, it bears excellent results. Growing cannabis is not an exact science, and it takes time to build the skills necessary to support a flourishing grow—but if you are dedicated to the task, you may be able to achieve great results. Now, you might have to make some compromise for your ideal spot after you have taken issues like water access and security into consideration. If you choose to grow photoperiod seeds, your plants will require more attention. 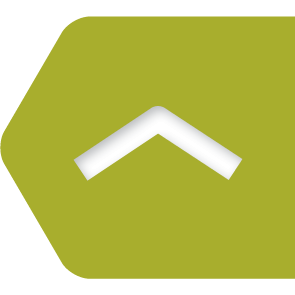 Don't forget to be patient and use as many resources as you can to acquire the best data on your plant's climate, such as a sun calculator. Photoperiod cannabis plants use photoreceptors to sense forms of phytochromes or cytochromes created by light. Therefore, the photoperiod of cannabis can be considered in terms of the hours of light a plant receives over a 24-hour time period. One benefit of selecting photoperiod strains is that you are able to take cuttings of your best plants and use them to breed new plants. 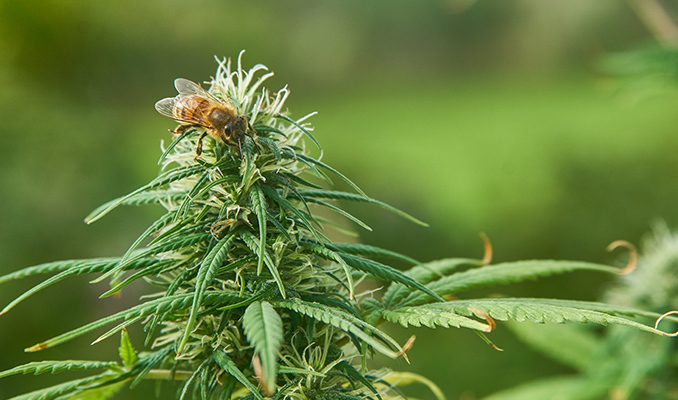 However, you will always have to pay close attention to the amount of sunlight your plants are getting, and spend a lot more time getting rid of males that could pollinate your crop. A problem that may occur when growing photoperiod is late blooming. Greenhouse growers can make use of tarps and plastic sheeting to reduce the hours of sunlight and trigger the flowering stage, which will be especially important in the Northern Hemisphere, where the nights become shorter. Using this method requires you to always remove the shade material before sunrise. Most photoperiod strains tend to begin flowering when the hours of daylight the plant receives drops below 15. Yet, this type of seed is able to stay in its vegetative stage indefinitely as long as it receives at least 15 hours of sunlight each day. By finding the point at which your plant will be receiving 18+ hours of sunlight each day, you will be able to determine the best period for vegetative growth. The next important factor is finding when sunlight drops below 12 hours in order to trigger flowering and eventually harvest. When seeds are planted in the spring, plants should shift steadily from their vegetative stage to the flowering stage after the solstice. As the nights get longer, outdoor photoperiod strains begin to bloom more steadily; some late-blooming sativas can continue to grow until late-autumn. The kind of sunlight the plant receives will directly affect the way in which it develops. It is important to take extra care when growing this type of seed. You must always ensure that your plant receives 5 hours with and 5 hours without continuous sunlight. Try not to rush over this crucial detail. It is a steep learning curve, but light levels will determine the rate at which your crop grows. The fastest-growing and smallest plants are typically autoflowering seeds, making them perfect for a stealthy operation. This allows for a low-maintenance and cost-effective grow with fast results. Don't forget to learn the approximate growth and flower time of the strain you are using, so that you can start growing your next seeds before harvest. For guerrilla growers, it might be a great idea to pick several locations to plant your autoflowering seeds. Known as the "plant and forget" method, this technique allows you to simply put a seed in the ground and forget about it (for a few months). When you come back to your locations, you will have already increased your chances of getting a crop. You might not get the biggest yields, but if you have concerns about getting caught, this is a simple sidestep. Autoflowering strains are developed so that they are able to flower under nearly any light conditions. This makes them great for beginners, and keeps things simple for all growers. But it is still important to get as much sunlight as possible when growing autoflowering seeds outdoors. Your final yield is a direct reflection of this. Picking the right time to grow autoflowering seeds is crucial. You may find that if you start at the beginning of summer, you can harvest multiple crops by the end. Try to pick a strain that will get the most out of your specific growing conditions. There will always be more for you to consider when growing in northerly regions. 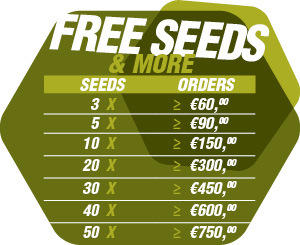 You can use the preset life cycle of your seeds (usually printed on packaging or available on seedbank websites) in order to build a grow plan and pick a strain that will work best with your climate. Why should we grow organic?